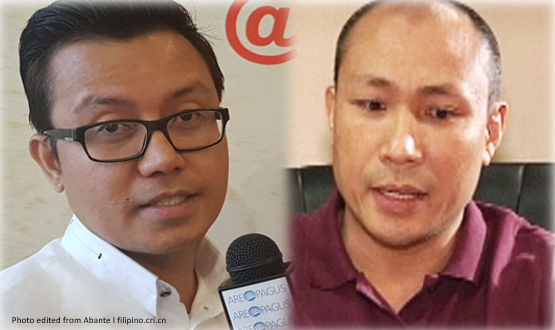 AKO-Bicol Party-List Rep. Alfredo Garbin, during a press conference, he lectured Magdalo Party-List Rep. Gary Alejano on how he should’ve filed the impeachment complaint against President Rodrigo Duterte. “Ang pagkakamali ni Cong Alejano in filing the impeachment complaint ay hindi niya sinunod yung tatlong modes on how to initiate impeachment proceedings,” Garbin said. One of the big problems of the complaint was that its filer didn’t have any personal knowledge about the allegations and supposed impeachable offenses it contained. “Kasi naman po hindi siya yung mga personal knowledge doon sa mga dokumento, at yung mga dokumentong prenesinta niya…was not based on authentic records,” Garbin, a lawyer, pointed out. “Yun sanang testigo from Davao Death Squad, dito sa extra judicial killings, somebody should put forward and sign an impeachment complaint and endorse by Cong Alejano. Yun po ang pagkakamali…Wala siyang personal knowledge doon sa kanyang mga alegasyon. That allegation came from somebody who is not him,” Garbin explained.